When monitoring the parliamentary elections held in Georgia on 8 October 2016, three representatives of an international NGO election observation mission deployed by the Norwegian Helsinki Committee, International Partnership for Human Rights, the International Elections Study Center and the European Platform for Democratic Elections were attacked in Jikhashkari village. In a joint letter sent to relevant Georgian authorities, the four NGOs stress the importance of ensuring that this attack is effectively investigated and the perpetrators held accountable. The letter can be read below. During the first round of the Parliamentary Elections in Georgia on 8 October 2016, three international election observers were attacked and the vote count disrupted in the village of Jikhashkari. One observer was beaten and two others had their mobile phones (with which they had filmed the perpetrators) taken away from them by force. 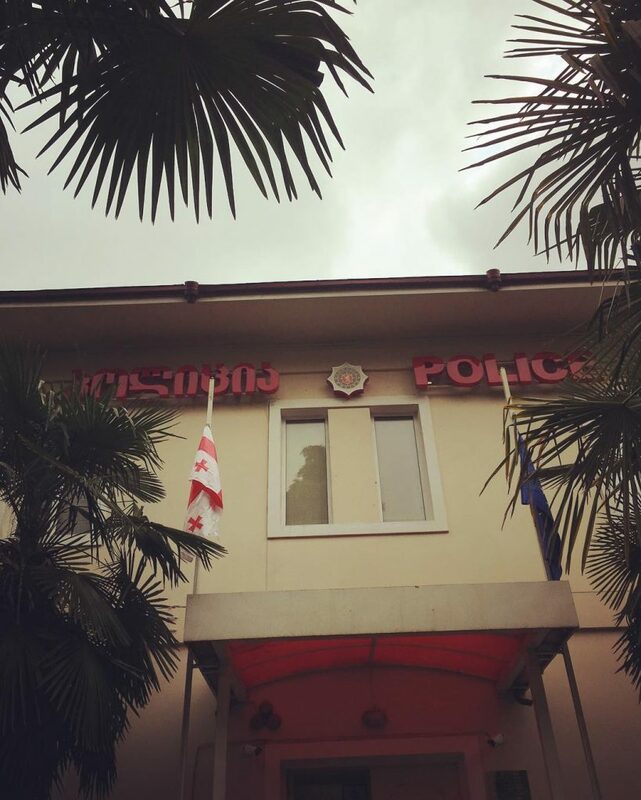 We would like to address a few questions to you regarding the investigation and the “internal personnel check” the Ministry of Internal Affairs is undertaking in connection with the case. The three observers represented the joint mission of the Norwegian Helsinki Committee (NHC), International Partnership for Human Rights (IPHR), International Elections Study Center (IESC), and European Platform for Democratic Elections (EPDE). Two of the observers were residents of Switzerland and the third was a Russian citizen. The polling station #79 lies in electoral district #66 in Zugdidi, Western Georgia. The main opposition party, the United National Movement (UNM), fielded former first lady Sandra Roelofs as their candidate in this district. The high profile candidacy of Ms Roelofs made the seat one of the more contested in Georgia. The attack took place shortly before midnight and seemed well organized. In addition to destroying ballot papers, the group of approximately 10 attackers forcibly took and destroyed cameras that held footage of themselves, including the mobile phones belonging to the observers. They did not appear intoxicated, as some press reports later claimed. Police and other uniformed MIA personnel were present inside and outside the premises during the incident, but did not intervene to protect the observers or the polling station. While there was no open collaboration between the attackers and the police, the passive behavior of the police suggested a degree of acquiescence. The attack resembles a calculated attempt by forces connected to the ruling party aimed at influencing the elections. Although the 2016 Parliamentary Elections according to our assessment in general were in line with international standards, the Jikhashkari case (and some other incidents) mars the overall impression. It is vital that the incident is properly investigated. Immediately, after the attack, the observers stayed for eight hours in Zugdidi Central Police Station, in order to lodge complaints and undergo a forensic examination. The impression we got was that the Zugdidi police were reluctant to take the case seriously. In the following weeks, all of our observers have returned to Zugdidi in order to make additional statements, identify suspects and evidence — and to facilitate an effective investigation to the maximum extent. Our observers have cooperated with the police and the investigation in good faith throughout the period. They are represented by lawyers from Georgia’s Young Lawyer Asscoiation (GYLA). A criminal case was opened into the incident, based on the Article 162 (1) and 163 of the Criminal Code of Georgia (obstructing the expression of the will of the people and obstructing the work of an electoral commission). The observers received victim status. However, Article 162 and 163 does not directly address the physical attacks, theft and threats against our observers and we are concerned that the charges do not adequately reflect the nature and gravity of the attack. Two men have been detained in connection with the case. The second individual was detained on 3 November. He denies involvement, according to press reports, but confirms that he is a representative of Georgian Dream, the governing party, which won the seat in district #66 in Zugdidi. The General Inspectorate of the Ministry of Internal Affairs also interviewed two of the observers on 12 October, ostensibly with the aim of determining whether to open a criminal or administrative case into possible dereliction of duty by the local police. In November one of our observers received a letter in Georgian about the steps taken by the Ministry. According to the letter, which is dated 17 November 2016, the general inspectorate is conducting “an internal personnel check”. As far as we understand, this procedure is neither an administrative or criminal inquiry, and we are concerned that this check does not reflect the gravity of a case in which it seems that MIA and police personnel were at least negligent in the execution of their duties. We would like to remind you that the participation in the electoral process of international election observers is enshrined both in Georgia’s election code and in politically binding international documents such as the OSCE Copenhagen Document. The Georgian government has an obligation to protect accredited international observers. It is therefore of great importance that the attack in Jikhashkari is investigated effectively and that the many questions it raised are answered. Why has the police not opened an investigation into assault and robbery with regard to the three observers? Why has the Ministry of Internal Affairs not opened an administrative or criminal case into negligence of duty with regard to the police? Were the government, local or central, involved in the attack on polling station #79 in Jikhashkari?